Nothing better than a slice of freshly baked bread with butter and jam, especially with Pflaumenmus – spiced German plum butter – one of my favorites. Pflaumenmus is made from Italian plums, cooked for many hours to a dark mush, and seasoned with cinnamon and a hint of cloves. Plum butter tastes similar to apple butter, but noticeably tarter and more intense. Pflaumenmus – or Powidl in Austria – is not only a tasty spread for sandwiches, but, also, often used as sweet filling in dumplings or pastry, especially in Austria and neighboring countries of the old Hapsburg empire. Married to a Vietnam vet, I can get plum butter and other German delicacies at the commissary in Bangor. 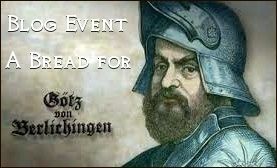 But if you have neither access to a military base, nor to a German deli shop, and don’t want to go through the lengthy process of making the real thing from scratch – there is an easy way out: DIY-Pflaumenmus-Ersatz! 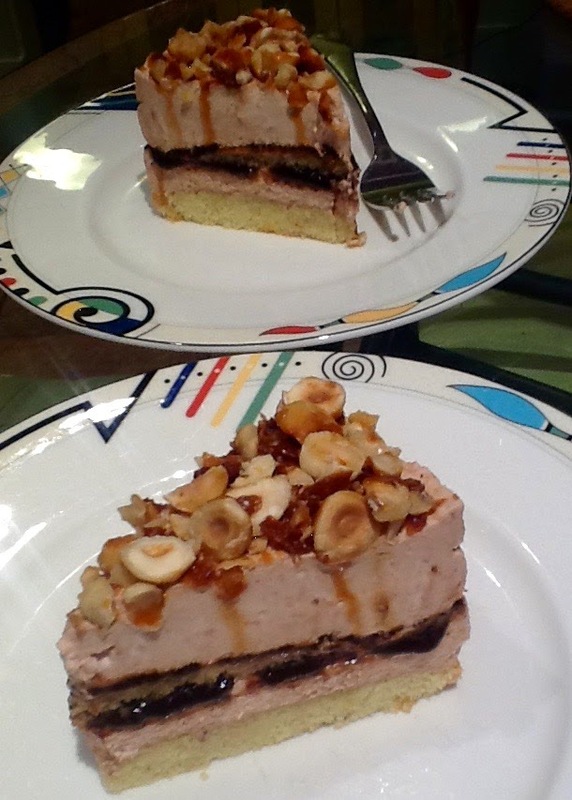 When I wrote my blog post for Bohemian Hazelnut Torte I was wondering what kind of substitute could be used for plum butter. The best of all husbands suggested apple butter, and it comes fairly close, but is somewhat milder. Then I thought of the dried prunes I like snacking on, looked at ingredients in some Pflaumenmus (from the scratch) recipes, and got to work. This is what I came up with: a combination of the mellow acidity of balsamic vinegar and the fresh zing of lemon juice for tartness, brown sugar and maple syrup (or only brown sugar) for sweetness, and cinnamon and a hint of cloves for spices. The prunes have to be soaked for several hours (or overnight), so that they can be easily pureed, using either a food processor or an immersion blender. The plum butter substitute tastes better the day after it’s made, so give it a 12-hour rest in the fridge to allow the flavors to blend. 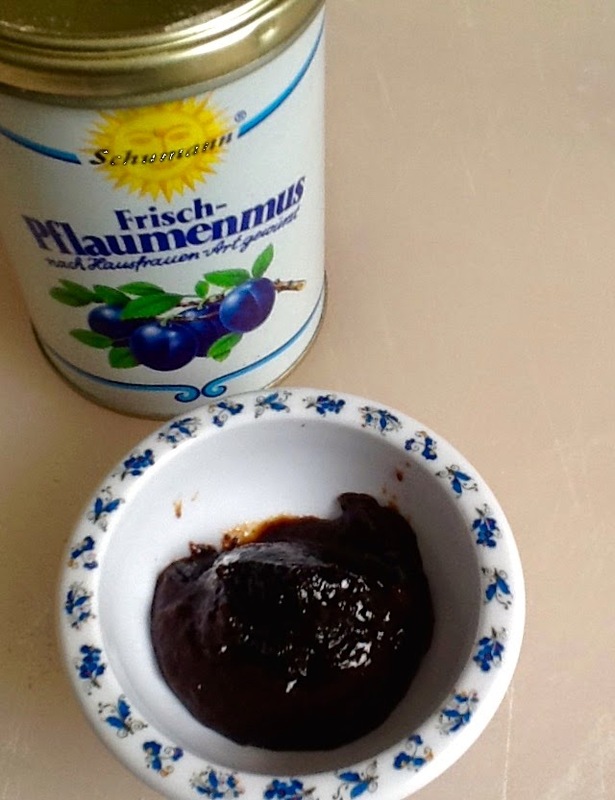 Not only good for baking – we had Pflaumenmus-Ersatz with pancakes and maple syrup for brunch: delicious! In a small bowl, pour boiling water over prunes. Cover, and let sit for several hours (or overnight) to soften. 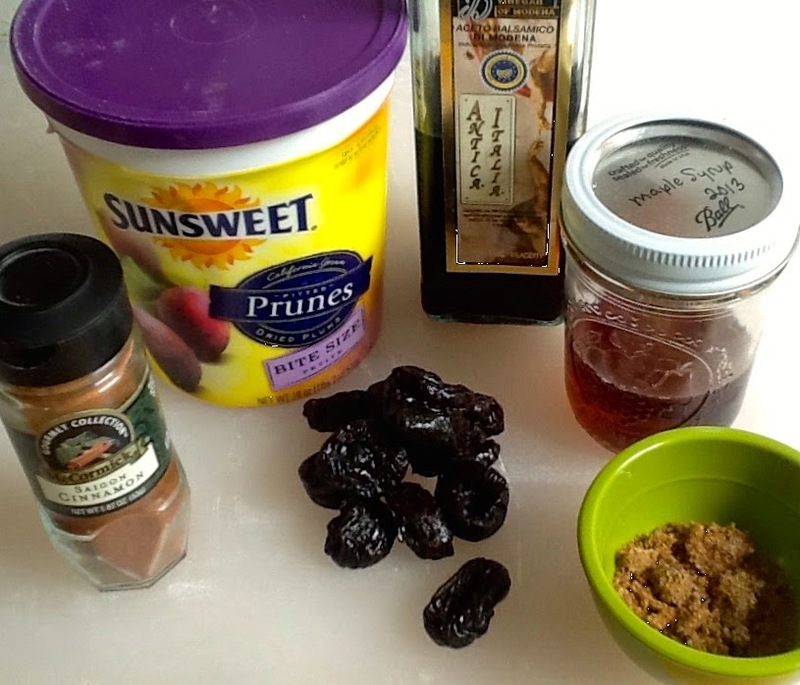 Place softened prunes with soaking liquid in bowl of food processor (or blender). Add balsamic vinegar, lemon juice, brown sugar, maple syrup (if using), cinnamon and cloves, and process until mixture is smooth. Season with more lemon juice, brown sugar (or maple syrup) and cinnamon to taste. Transfer plum butter to a jar or bowl, cover, and allow to rest for 12 hours, until flavors have blended. Previous Post BETTER THAN BAKED APPLES – BAKED APPLE MUFFINS! Therefore I was never really tempted to make Pflaumenmus from the scratch, though I have a recipe how to bake it in the oven that I might try one day. The whole procedure is pretty daunting, much as I love Pflaumenmus. But this prune mixture comes pretty close to it, so I'm quite happy with the result of my experiment.